vary a lot too. Vendors say they can solve your bot problems. Can they? The bot management market is evolving, with many vendors of different sizes, experiences and capabilities. It’s important to solve your bot problems without getting in the way of business. 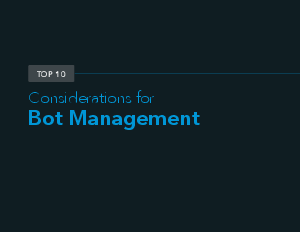 In this ebook, you’ll get insight into how to evaluate bot management solutions and understand what the differences mean for you.